This is why human beings find it difficult to learn and adapt to new situations: because we are always looking for precedence, for authority from the past on what we’re supposed to do now. And that gives us the impression that the past is all-important. Looking back we may not like what we have done or like the outcomes which imposes friction on our memories. On our past reflections we can often miscalculate the honesty at which we have behaved in past events. 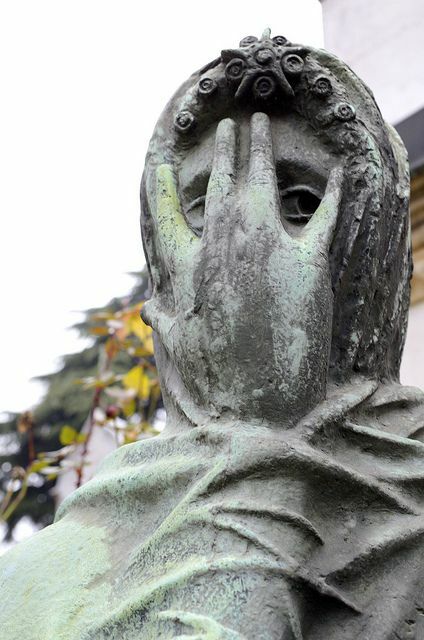 There are mechanisms that are theorized in psychology to prevent trauma in our thinking thus our remembrances of such events may be subjected to defensive measures when cognitive dissonance intercedes. Our memories are subject to other features of our consciousness that intervene the processing of these memories. The question of how one remembers truthfully is and can be problematic. We can dismiss all content if indeed we do not give it a second thought, but if you are built like me, than you would want to strip down important memories that require some discernment. What makes us honest if and when we take notice of our deeds, and view them every night or day upon our reflection. If we do not neglect our accountability to ourselves, than we may be consistent in our reflections of the moments we remember. If we do not make it a habit to review our behavior with any credence, than we leave ourselves subject to faulty remembrances. There are many circumstances that may play a part in our memories. Think about your fifth-birthday party. Maybe your mom carried the cake. What did her face look like? If you have a hard time imagining the way she looked then rather than how she looks now, you’re not alone. 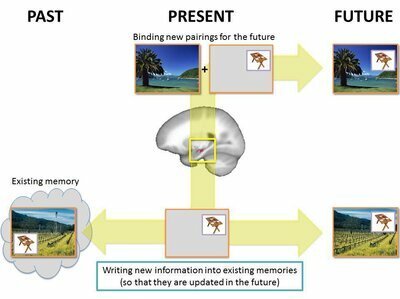 The brain edits memories relentlessly, updating the past with new information. Scientists say that this isn’t a question of having a bad memory. Instead, they think the brain updates memories to make them more relevant and useful now — even if they’re not a true representation of the past. To figure this out, researchers at Northwestern University asked 17 people to look at images of a scene, like a beach or a farm, with a small object like an apple layered on top. They were then shown a scene with the object in a new location. Then they were asked to move the object to its location in in the first picture. They always got it wrong. The researchers used scenes like this to test memory. When an object’s location and a background scene are presented together, they are remembered as a whole event (top). But when new information is presented, like a new location for the small object, that new location is tied to the old scene (bottom). Finally the participants were shown the original scene, with the apple in three places: the original location, the second or a brand-new one. They always picked the second, updated location. This is a contrived laboratory setting, Voss tells Shots, so it’s not guaranteed that the brain is taking current events in your life and stuffing them into your past. But the researchers had people do the experiment while observing their brain with a special MRI scanner. The brain structure that the people in this experiment were using when they were rewriting their memories, the hippocampus, is very involved in autobiographical memory. “It’s essentially as if the hippocampus doesn’t care if it’s putting together two new things,” Voss says. The findings were published Wednesday in the Journal of Neuroscience. Voss and his co-author Donna Bridge tested the participants’ memory of the original image, and they remembered it very well. So this wasn’t a case of bad memory overall. It wasn’t until they were asked to move the object and place it in the original spot that the memories changed. And some things are worth forgetting. Voss, for one, is fine not remembering his father’s 1980s mustache. “And the half-mullet,” he says. So can we really judge if we are who we think we believe we are? We can only do the best we can do! I think that we must follow our hearts, and if we are to make our amends, then we should be doing good deeds to pay it forward. We may not be who we think we really are. I look at you all…..